At the tail end of last week, an Ice Cream Sandwich update file for the Motorola XOOM WiFi was posted up across the interwebs, giving experienced users a chance for manual installation. If those instructions appeared to be too much work, you no longer have to wait to update. The update, according to the flood of emails in our inbox, is rolling out now to all XOOM WiFi models. 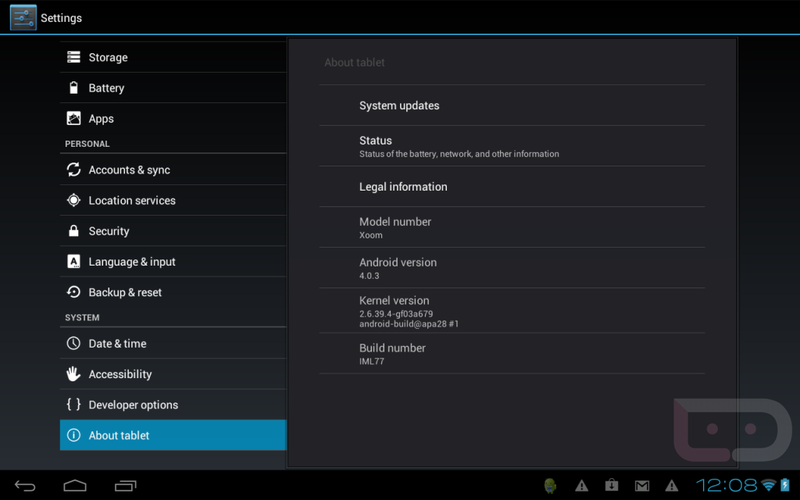 To pull it, cruise into Settings>About tablet>System updates. Cheers Max, Zeph, Brian and Nicolas! Tuesday Poll: State of Your Android Phone - Rooted, Stock, or ROM?